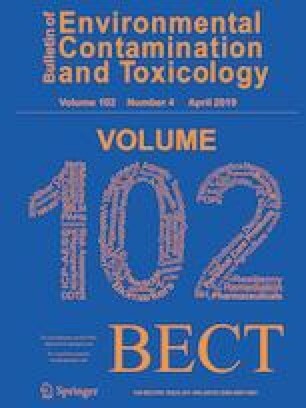 The aim of this study was to evaluate enzymatic (glutathione-S-transferase and catalase) and histological (branchial lesions) biomarkers in Ucides cordatus (Crustacea, Decapoda) from an industrial port region on the north coast of Brazil. The crabs were collected in two distinct locations of the Brazilian coast: A1 = region under influence of port activities; and A2 = low-impacted area. We performed histological examination in the gills and glutathione-S-transferase (GST) and catalase activity in the hepatopancreas. The most frequent and severe histological lesions were found in A1, especially rupture of pilaster cells and lamellar collapse. Catalase activity did not show a pattern capable of differentiating the two analyzed areas. On the other hand, GST activity presented a more pronounced response in the crabs of the port area (p < 0.05), coinciding with the most frequent branchial lesions in these same organisms. These results suggest that the species is susceptible to environmental stress, once alterations at different organizational levels were verified. The authors would like to acknowledge the research team of the Laboratory of Biomarkers in Aquatic Organisms (LABOAq) of the State University of Maranhão, for the support in the biological analyzes and the Foundation of Support to the Research and the Scientific and Technological Development of Maranhão (FAPEMA), for the financial support.